There are a countless number of fungi around the world, each fascinating and mysterious in its own way. There is one, however, that truly seems to stand out from the rest. 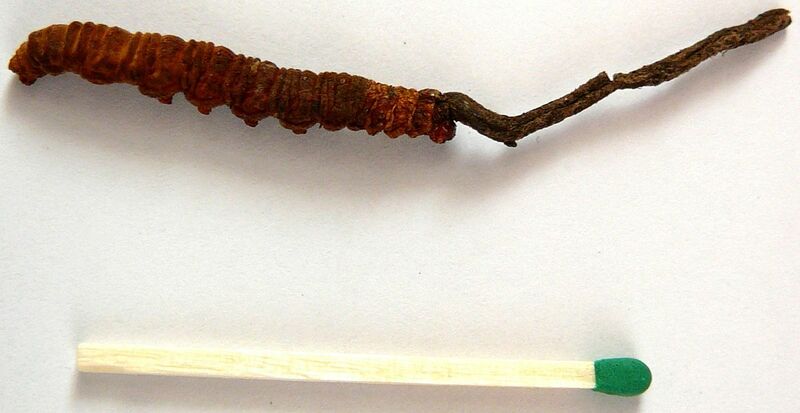 Belonging to the phylum Ascomycota, the endoparasitic fungus Cordyceps sinensis seeks out a ghost moth caterpillar host high up on the Tibetan plateau. Once attached to its unsuspecting victim it will push through the exoskeleton of the caterpillar to feast on its non-vital tissue. Eventually the caterpillar will be directed to a suitable position for fungal dispersal and its innards will be gutted and filled with hyphae, serving as a fungal food cache. After a period of time the weather will warm up and like some 70’s B-movie horror film a fruiting body will emerge forth from the caterpillar body. C. sinensis has held an important place in China for many years. The fungi industry is the main source of income for Tibetans and C. sinensis (or yartsa gunbu as the local Tibetans call it) can be sold for 4-5£ (~$6.50 – $8.00 Canadian) a piece. Beyond just a good source of income, however, C. sinensis has been held in high regard as an important ingredient in the Chinese medicated diet. Moreover, anecdotal evidence suggests that C. sinensis has been used in Chinese traditional medicine for hundreds of years. Even today C. sinensis is commonly used in China to replenish the kidney and soothe the lungs for the treatment of a variety of impairments. Although C. sinensis is definitely an intriguing specimen, its large list of medicinal properties is primarily founded in beliefs and traditions of the Chinese people. Thus, it is important to carefully evaluate these claims in order to separate fact from fiction. In order to scientifically evaluate the medicinal properties of C. sinensis researchers began carrying out experiments to identify the chemical compounds that make up the organism. One intriguing compound researchers have isolated is cordycepin. Originally isolated in Cordyceps militaris (found primarily in North America, South America, Europe, and Asia) cordycepin is found in low quantities within C. sinensis as well. Cordycepin is a 3’-deoxyadenosine, therefore, it differs from deoxyadenosine in DNA which is missing oxygen at the 2’ position, rather than the 3’ position. As a result of this similarity cordycepin can affect many different cellular processes, such as apoptosis and cellular proliferation and researchers have begun looking at its potential in fighting cancer. With regards to apoptosis, one study on cordycepin found that it activates the PLC/PKC and MAP kinase signal transduction pathways inducing the production of steroids and the death of mouse intestinal tumour cells. Steroids can induce apoptosis by binding to receptors, followed by translocation to the nucleus where they can upregulate pro-apoptotic genes. In another study, apoptosis of mouse intestinal tumour cells was also accomplished by an upregulation of caspases 9, 3, and 7 by cordycepin. Caspases are key enzymes involved in cell death. Since a lot of research is carried out on mice, one cannot say for certain whether cordycepin would have the same pro-apoptotic effects in humans. Some mechanisms for activity in humans have been proposed however. One mechanism proposed for cordycepin-induced apoptosis of human leukemia cells is that cordycepin may generate a reactive oxygen species, leading to mitochondrial disruption, caspase activation, and the cleavage of poly (ADP ribose) polymerase 1 (PARP). Activation of PARP results in the release of factors which have a toxic effect on the cell. Other than induce apoptosis, studies have also shown that cordycepin can inhibit cellular proliferation. In cancer and inflammatory cells there is overexpression of the G protein-coupled A3 adenosine receptor, involved in a variety of cell-signalling pathways, such as cell cycle regulation. Cordycepin binds the receptor, causing G protein activation and ultimately the inhibition of cyclic AMP formation. Cyclic AMP is responsible for inhibiting glycogen synthase kinase-3β (GSK-3β) by phosphorylation, therefore, without any cyclic AMP GSK-3β is active. Active GSK-3β phosphorylates β-catenin to be degraded. 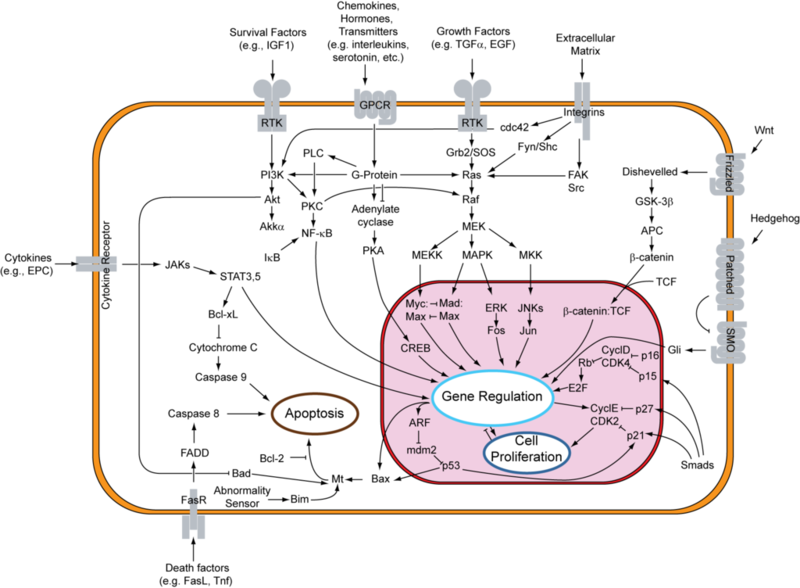 Normally, β-catenin enters the cell and upregulates the c-myc and cyclin D1 genes, whose protein products are important for cellular proliferation. Without β-catenin, however, cyclin D1 and c-myc are not upregulated and cellular proliferation is inhibited. A major problem with many drug-based cancer-therapies is that they are usually only effective for a period of time before multidrug-resistant cancer cell lines begin to develop. Furthermore, one of the major causes of drug-resistance in cancer cell lines is upregulation of P-glycoprotein. P-glycoprotein is responsible for transporting various substances across membranes, therefore, a large amount of P-glycoprotein means anti-cancer drugs are being effluxed so they are no longer capable of carrying out their effect on the cell. Treatment of cells with cordycepin reduces both the expression and function of P-glycoprotein, demonstrating a reversal of multi-drug resistance. The mechanism suggested for P-glycoprotein inhibition by cordycepin is quite interesting. Cordycepin (due to its similarity to adenosine) is suggested to bind P-glycoprotein increasing its ATPase activity (ATP is used to drive P-glycoprotein activity), which originally had me confused. What seems to be occurring, however, is that ATPase activity is increased for a time, but eventually P-glycoprotein becomes saturated and its activity is inhibited. Researchers also found that combined treatment of cordycepin with known anti-cancer drug verapamil increases P-glycoprotein ATPase activity even further. 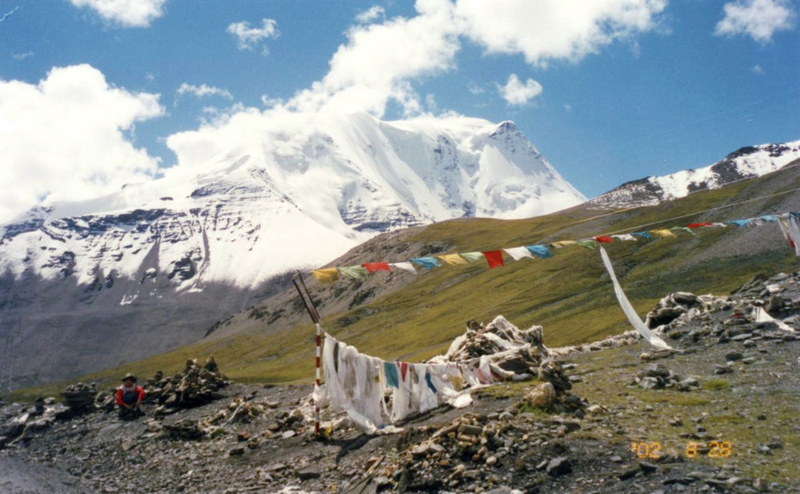 C. sinensis is a mysterious fungus, as well as an important source of income for the locals of Tibet where it grows. For many years it has been highly regarded in traditional Chinese medicine as having many different healing properties. Many beliefs regarding the healing properties of C. sinensis have been passed down through generations, but not explored by modern science until recently. Recent research, however, has demonstrated that C. sinensis may indeed elicit some of the healing properties suggested of it. An intriguing compound that can be extracted from C. sinensis is cordycepin. Research on cordycepin has suggested that it may have anti-cancer potential by carrying out a variety of mechanisms such as the induction of apoptosis, inhibition of cellular proliferation, and reversal of multi-drug resistance just to name a few. In light of this, pharmaceutical application of cordycepin could help combat metastatic tumour cell resistance and increase survival rates for cancer. It could also be used as a versatile drug for issues other than cancer, such as an antibacterial, antiviral, or antimicrobial drug. Future research may want to consider the potential negative downstream effects based on the variety of its intracellular targets. If determined to be relatively safe clinical trials and pharmaceutical research to determine the best mode of administration (oral, injection, et cetera) will help cordycepin in becoming a mainstream medical drug. This work by Ethan E. Rowland is licensed under a Creative Commons CC-BY Attribution 4.0 International License.